500 S. Bueno Vista St.
Any questions or comments, please feel free to contact us. 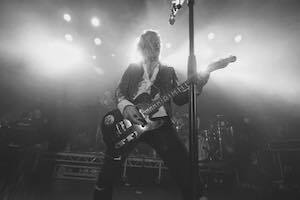 A very special and happy 24th birthday to the captain of the ship himself, the one and only Riker Lynch! You are a hard working, talented, and ambitious person with a friendly and outgoing personality. May you have a wonderful and safe birthday filled with lots of love with many more to come! From all of us here at Ready, 5et, ROCK! and from the R5 Family all over the world! We love you! A very happy 21st birthday to the one and only Rocky Lynch! You are a hard working, talented person with a big heart and creative personality. May you have a wonderful and safe birthday filled with lots of love and memories with many more to come! R5 officially announces tour dates in Australia and New Zealand this January with YouTube and Vine sensations Jack and Jack. Joining R5 and Jack and Jack will be Ryland and Australian pop-rock group At Sunset. Australia pre-sale tickets are available now for Fan Club members and will open up to the public one hour later. Pre-sale tickets for Auckland will be available for Fan Club members tomorrow, October 22nd starting at 9am local time and will open up to the public starting at 10am local time. Meet and Greets are available at the point of purchase for tickets. New Zealand Ticketmaster pre-sale will begin Friday, October 23rd at 9am local time. General on sales for all shows will open on Tuesday, October 27th at 10am from Ticketmaster Australia and Ticketmaster New Zealand. R5 And Jack & Jack, Supported By DJ Ryland And Australia’s At Sunset - a show not to be missed! 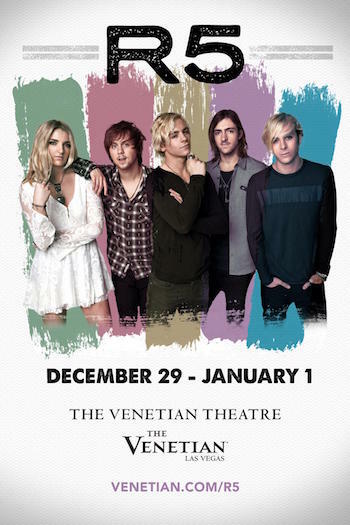 Want to hang out with R5 for New Years? Here's your chance! Catch R5 perform Live at The Venetian Resort and Casino in the middle of the Las Vegas strip! Pre-sales begin tomorrow, October 20th. 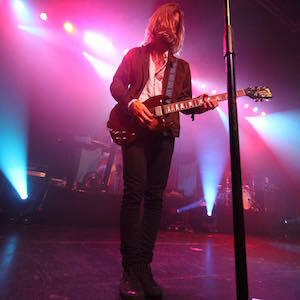 Fan club members will get first access starting at 10am PST. It will then open up to everyone else starting at 12pm PST. For more information, please click here. What a ROCKIN' way to start the new year! Will you be attending? R5 has officially released the new official music video for their song "I Know You Got Away" available on their second full length album 'Sometime Last Night' available in stores now! We absolutely loved the new video! What did you think?